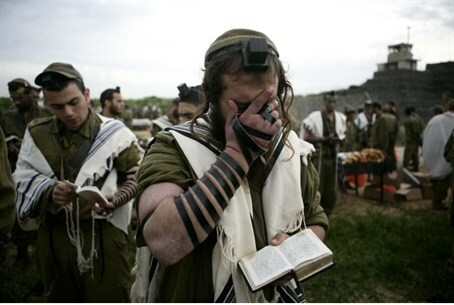 Following a report by Arutz Sheva, IDF commanders decide to continue to allow religious soldiers to grow beards. Givati combat unit brigade commander Ofer Levy has rescinded an order that would have prevented soldiers from growing beards, following pressure from the public after Arutz Sheva reported on the matter. The anti-beard order threatened to cause additional tension between the religious community and the army at a time when the IDF is attempting to increase enlistment among hareidi-religious men. Levy had told commanders in the Givati brigade that all soldiers must shave their beards. Normally soldiers have the option of growing a beard for either religious or personal reasons, although those who choose not to grow a beard must shave regularly. Soldiers were told that under Levy’s new order, whoever wished to grow a beard for religious reasons would need to get permission from a special committee. Commanders informed soldiers that they planned to advise the committee not to grant permission. In addition, soldiers were told that in order to seek the committee’s permission, they would need to show up clean-shaven. While many religious men do shave, particularly in the religious-Zionist community, others let their beards grow. Shaving with a razor is forbidden by the Torah, so that even the way electric shavers cut hair has to be checked to conform to halakhah and there are religious men who feel that it is not possible for shavers to ever meet halakhic standards. Thanks to Levy’s change of heart, they will be able to continue to grow beards if they wish, even in the Givati brigade.